Designed with a simple yet sublime eye, the Suffolk collection features a minimalistic style that lends itself brilliantly to an array of different decors. Made all the more adaptable, every item from the Suffolk collection is available in natural pine, dove grey and classic white. Crafted from a potent combination of solid pine and MDF, every item from the Suffolk collection is as durable as it is stylish. 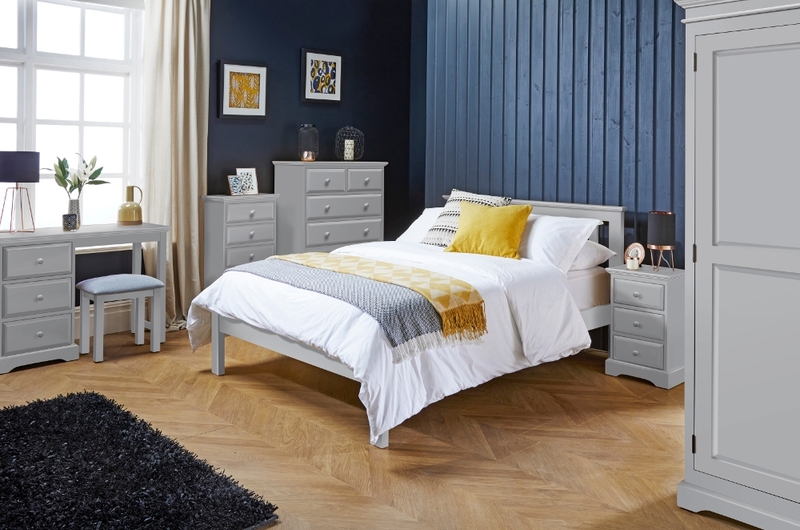 The Suffolk collection is both eclectic and extensive, consisting of a beautiful bed, a wealth of different chest of drawers, various wardrobes and a dressing table and stool combination. Thanks to this wonderfully diverse selection of furniture, the Suffolk collection can be used to enrich essentially any room in the home. Though virtually every item from the Suffolk collection arrives in a flat pack format, they do come partnered with easy to follow and comprehensive instructions, which makes them simple to assemble.